In response to demand from a hard-core of performance enthusiasts Honda - for the very first time - in 2014 is producing the CBR1000RR Fireblade SP. A track-focused, yet fully road legal, version of the bike that not only looks special - it is special. The chassis wears circuit-ready front and rear Ohlins suspension plus Brembo four-piston mono block calipers, with frame revisions and new top and bottom yokes to suit. Honda's electronic Combined Anti-lock Brake System comes as standard, with software remapped appropriately. Pirelli Diablo Supercorsa SP tyres are the finishing touch. The 999.8cc inline four-cylinder engine gets the same updated cylinder head as the standard 2014 CBR1000RR Fireblade, with improved inlet/exhaust gas flow and combustion efficiency, and the extra 2kW peak power boost. However it features factory-matched pistons and con-rods, to ensure optimum internal balance. As a track-focused machine there's no provision for a pillion and a sleek single seat unit saves weight. Further marking the SP version out from standard is its own unique Tricolour paint - white and two-tone blue, with a central red stripe and trademark Honda gold wheels. The CBR1000RR SP uses a new 'wave' design ignition key; it offers improved security and its compact size greatly reduces the chance of breakage. Also new is the fuel tank cap - it uses an improved breather design for better venting. Instrumentation is a multi-function LCD with a cockpit display dominated by the digital bar-type linear tachometer that scrolls left to right as engine speed increases. Beneath this are the main numerical readouts: gear position, coolant temperature, speedometer, clock/lap time, trip/fuel efficiency/fuel consumption and odometer/numerical tachometer. At the bottom of the display are lights for headlight high beam, neutral and indicators. The Fireblade SP is lighter, faster and more technologically advanced than anything we’ve built before. Type Front: Telescopic inverted fork with an inner tube diameter of 43mm, and a NIX30 (OHLINS) Front Fork with preload, compression and rebound adjustment, 120mm stroke. Rear: Unit Pro-Link with gas-chargedTTX36 (OHLINS) damper featuring 8mm preload and 22 click compression and 22click rebound damping adjustment. 60mm stroke. VPL Terms and Conditions: New CBR1000RR FIREBLADE (all 14YM & 15YM variants) registrations from 05 January 2016 to 31 March 2016. Subject to model and colour availability. Representative Example based on 5.9% VPL; Offers applicable at participating dealers and are at the promoter's absolute discretion. Indemnities may be required in certain circumstances. Finance is only available to persons aged 18 or over, subject to status. All figures are correct at time of publication but may be subject to change. Credit provided by Honda Finance Europe Plc Cain Road, Bracknell, RG12 1HL. Honda Finance Europe Plc is authorised and regulated by the Financial Conduct Authority, Financial Services Register number 312541. 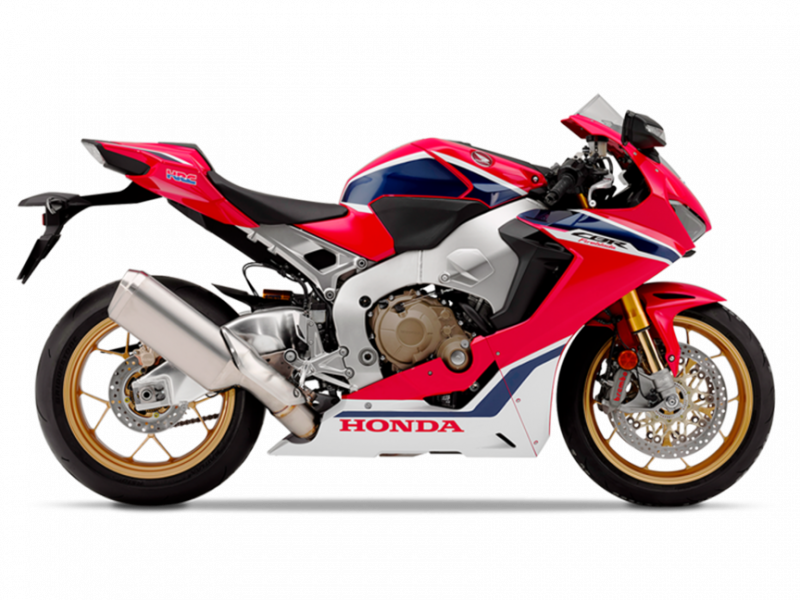 PCP Terms and Conditions: New retail CBR1000RR FIREBLADE SP ABS 19YM orders from 01 April 2019 to 31 July 2019 and registered by 31 July 2019. Subject to model and colour availability. Offers applicable at participating dealers and are at the promoter's absolute discretion (excluding Channel Islands). Representative example based on years 0.0%% PCP. Excess mileage rate applies. You do not have to pay the Final Payment if you return the bike at the end of the agreement and you have paid all other amounts due, the bike is in good condition and has been serviced in accordance with the Honda service book and the maximum annual mileage of 4,000 has not been exceeded. Excess mileage rate applies should this be exceeded. Indemnities may be required in certain circumstances. Finance is only available to persons aged 18 or over, subject to status. All figures are correct at time of publication but may be subject to change. Honda Franchise Dealers are credit brokers, not lenders. Credit provided by Honda Finance Europe Plc. Cain Road, Bracknell, Berkshire RG12 1HL. Honda Financial Services is a trading name of Honda Finance Europe Plc. a company registered at Companies House No 03289418. Honda Finance Europe plc is authorised and regulated by the Financial Conduct Authority, Financial Services Register number 312541.